Loving your TiVO or DVR because it lets you slip on by the commercials? Well the network executives know that and are looking at ways to combat it. So, this coming season, watch out for the ubiquitous "product placements" on some of your favorite shows. "Gosh, I would give anything for a real Pepsi..."
turns and continues to walk down the beach. A Dutch TV show called "BIG DONOR SHOW" claims it is trying to show the lack of organs available for transplants due to the lack of donors. They plan on airing a program where a terminally ill young woman will chose a contestant to receive her kidney. The 27-year old will hear interviews with the three contestants, their family and friends and then decide on the "winner." The donation must be made before the donor passes away or her wish to donate to a particular person expires when she does. The way it is done today with priority listings and the like would seem to be the more equitable way to decide who gets a donated organ. SO kiddies...what do you think of this? <--- Stand over here if you think that Hasselbeck chick was in the right. Our friend Bud asked if public dunkings still occurred...NOW would be a perfect time for one. Tomorrow, we review the new Brad Thor Book which we received an uncorrected galley for through an arrangement with Doc Blogstein. You more than some understand the so-called benefit of product placement, but sometimes I think it's handled rather poorly. Seems now every time I'm watching television or a movie, I'm actually LOOKING for product placements. It's pretty hilarious when a product's brand is specifically obscured; makes the viewer take more notice of the object rather than just eying it without really "seeing" it, you know? I dunno, iffen I can't fast forward through commercials, then I'll have to seek other technology that will let me do it! Those wacky Dutch - gotta hand it to them. Those that brought you "Big Brother" would naturally come up with something bizarre like this. Of course, the liberal Dutch in me can see the practicality of this; they're correct - there aren't nearly enough organ donors to be matched up with needy recipients. But I also understand your point that the most needy should be at the top of the list. Not a candidate for organ donation myself (hopefully never - I'd like a cure for PH to be found that doesn't involve someone else dying), I would want the neediest of the ill to get the organs before me even if I WERE in need of organs. I understand the process, and I have no problem with it. But I can see others "gifting" when they feel it's in their power. Maybe it's a question of having dignity in the way they leave this world. I read about that Donor Show. That is just SOOOOO wrong. I can't even talk about it. Next topic, Rosie. I am officially sick of her. She is a bully who runs away when the tables are turned on her. Elizabeth finally stood up for herself and Rosie couldn't handle it. I don't agree with everything Elizabeth says, but she should have never been treated the way she was for the last few months. Rosie treated her like she was a stupid child. 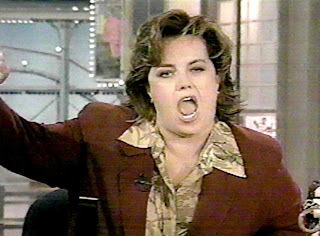 I'm glad Rosie has left The View. I just hope they don't get some as equally annoying to replace her...like say Kathy Griffin. Ugh. The kidney show is crossing the line, I think. I'm getting kinda tired of the reality tv schtick. And I am LOVING your ramblings!! Keep it going! It's bad enough that you have to watch friggin' commercials in the movie theater before the previews. I just knew they'd figure out a way to screw with the skip feature on my Tivo...BASTARDS!!! Donor organ TV show???? Why doesn't the poor woman just sell her kidney and give the station the profits to buy media...GEEZ!!! I'm standing in the middle but a little to the right on the Rosie thingy...she's wacked. Give celebrities enough rope and they'll eventually hang themselves...better sooner than later for her. Organ Donor show: I think it's tasteless only because the 3 people who are trying to "win" are very sick. They need a kidney. How are they going to compete? How is one person going to say they deserve it more than another person? And is the woman donating it sick? Why is she looking for people to give a kidney to? Does she plan on dying within a month? I just don't get it. I like that reality shows are trying to actually HELP people instead of just giving money away, but this is just weird. Rosie is a complete loud-mouthed moron, but that is mirrored against Elisabeth's unwavering Bush-Love...What's to like with either of them?...well other than EH's rack. Making a TV show out of donating organs ODD! I hate product placement. I don't like it when massive amounts of people are mind fucked and manipulated by something whether it's "Buy This War!" or "Buy This Pepsi!". Just give it to us straight. Make a decent product at a reasonable price and I will buy it. I'd love to see a commercial on television that relaxed a little with the mind games. Perhaps a guy holding a Pepsi and saying, "This is a Pepsi. It's not the greatest drink on the planet, but I think it tastes good and recommend it to you as well. Besides, it's pretty inexpensive. You wanna buy some?" At which point I would say, "No thank you. I'm a Coke girl." As it is, Pepsi can try to sell me their product as much as they want and I'm still not buyin'. I've had Pepsi and I've had Coke and I like Coke better so there is no need to try to convince me otherwise...lol. Do you have a favorite kind of suop that I can send you to help you feel better?? p.s.... I'm on team Rosie just because I respect the fact that she will call it how she sees it on political issues. Hasselbeck seems to me to be just another puppet supporting things because her political party does. I don't care of Rosie is loud and obnoxious... sometimes one has to be to be heard. I can respect anyone who stands by what they believe in, even Hasselbeck, but I disagree with what she is standing behind...lol. As for the organ donor show - HELL NO. I think it is so wrong in so many ways that there just isn't enough room.....and that would require me to type a lot more. Let's just leave it at WRONG WRONG WRONG WRONG. As for Larry and his lawyer all I can say is .... BWAHAHAHAHAHAHAHAAH. Love your ramblings hon - they make for some great entertainment. I think the organ donor tv show thing is AWFUL and wrong and sick. A terminally ill woman giving away a kidney to one of 3 sick contestants on a game show... All just wrong. Having said that - at least a sick person will get the kidney they need, and the woman giving it away's dying anyway. SONGBIRD: The product placement happens all the time, but you are correct, when they obscure it makes me notice more. LIZZA: It is very strange this whole concept. TWYLA: Maybe we can donate Rosie's brain.. well, no, that would be cruel to the recipient. 108: This is a pepsi household...hehehe..I like clam chowder, and split pea with ham...and lentil....and minestrone...and... hehehe I likey soup....i just think she has become a clown. hi bond... feel better honey. 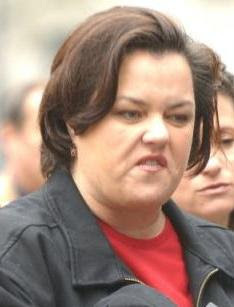 Rosie needs to go away. Uhm...this is weird...I actually have no opinion on any of these topics. I guess I will simply look forward to the next set of ramblings. Let her rip Mr. Vinny! Interesting comments as always! Those crazy dutchmen. The same folks that brought us Big Brother, now there is a shock. TiVo is still better for watching the AI results show, product placement or not. Lets see, Rosie is a baffoon, Elizabeth is a twig and Babs is chicken for not getting involved in all this earlier. What bothers me is people who attack Rosie for no reason. She's done more for this country, for Katrina victims, for wounded veterans, and for freedom of speech than anyone else I can think of. I wonder how many people who stop by have actually bothered to sign a card and make their wishes known to their family..
My card is signed, yes.. unfortunately I will NOT be donating my body to science.. or having my head cryogenically frozen à la Ted Williams. But if my organs can help someone live while I move on to haunt some jerks who've acted like asses (in between guarding those I love) I'll be happy in the afterlife!